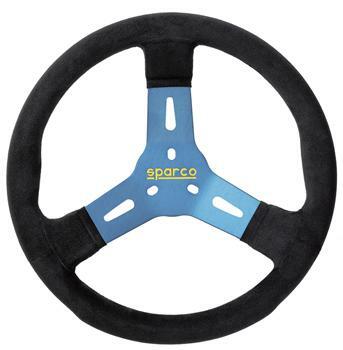 Sparco Steering Wheel - Karting - R310 UNIVERSAL - Lesher Motorsports, Inc. The Sparco R310 is designed in a popular diameter to fit modern karts. It is constructed with a soft rim and finished in the finest Alacantara for ultimate grip. Available in black, blue and red/black.